Beach sessions are truly my jam! I can’t even start to think what it’s going to be like when we move. I love photographing families on the beach, that's the benefit of living in a beach town, right? Every family is so special to me, I love seeing families having so much fun for their little beach vacation, but especially for Bridgette's family. I was dying for months for this day. Bridgette is a teacher, and she has just had her baby #3 (precious little cute thing by the way!). The big brother and sister adore their baby brother, and the love just pour out from the pictures as well. The bond between the two boys and their mother is just the sweetest thing. Can we take a minute to look at the one and only daddy’s girl too? We love the sweet little daddy daughter moment. I think it’s true when people say daddy is a daughter’s first love. And we can tell how close they are. I was reminded that how important it is to have such a good relationship with our own daughters. We want to be the ones that they can trust and lean on. And I can never get sick of the gorgeous beach. We’ve photographed the Atlantic Ocean, as well as the Pacific Ocean, and they are both absolutely beautiful. Beach truly is best escape anyone can have. So if you’re ready for your beach getaway, either at Topsail Beach, Wrightsville Beach, or Kure Beach. We are ready to photograph your beautiful and joyful moments. Or if you want to fly us back to Hawaii, we definitely won’t say no. 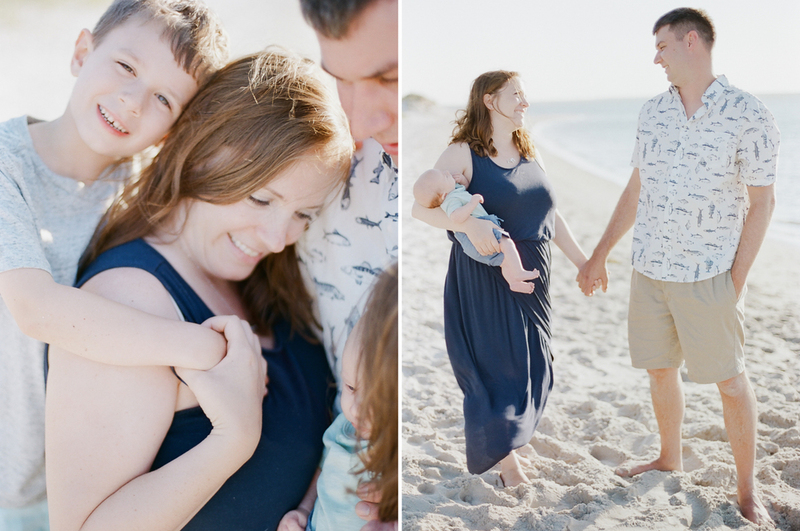 I am so honored that I was able to photograph this special time for them as they welcome their brand new addition and enjoy their first beach family vacation as a family of five. See more on Beauty & Lifestyle Magazine.